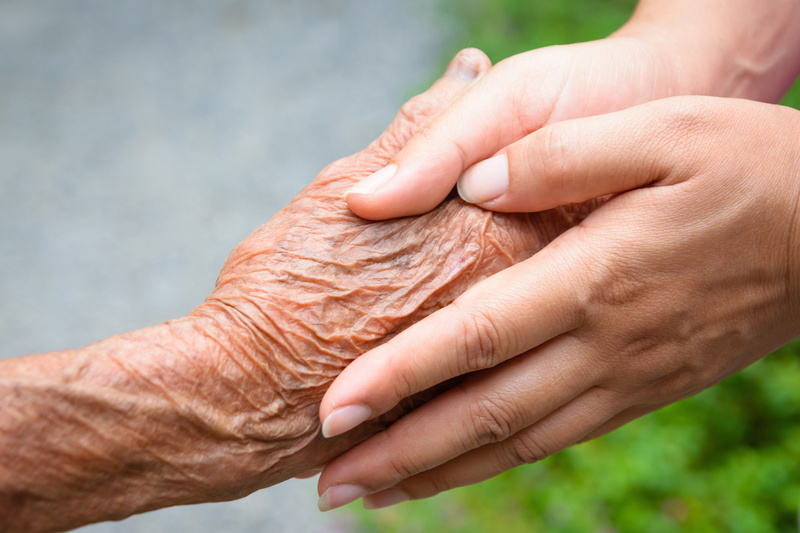 As our loved one’s age, it becomes increasingly difficult to cope with their declining health. Complicating this further, the American population is aging at a faster rate (US Census Bureau, 2018), so more people are being diagnosed with dementia and other neurodegenerative disorders than ever before. Increasing symptoms create new burdens and stigma on the family members of individuals with dementia beyond what is expected for the aging process (Orel & Dupuy, 2002; Savundranayagam, Montgomery, & Kosloski, 2010;). For example, diminished communication skills, decreased memory, and functional impairments can lead to communication problems, which then impair their ability to maintain their relationships with family members (Parker, Young, & Rogers, 2010). However, it is possible that additional variables (besides those related to the outcomes of dementia) also influence interactions occurring between adults and their family members with dementia, particularly grief and fear of incompetence experienced by family members. Wicklund and Scheuer (2014) described fear of incompetence as the fear of not performing at a level expected by the individual or society. Thus, myself, Dr. Thompson and other researchers from the lab conducted a program of research designed to create a scale measuring people’s fear of incompetence when interacting with family members with dementia. This final scale (the Fear of Incompetence Scale) was comprised of 65 items that assessed three different categories of fear of incompetence: knowledge concerns, caregiving concerns, and interaction concerns. One interesting finding that resulted from this program of research was that interaction concerns were particularity worrisome for participants. Here are a examples of the most frequently endorsed concerns: “I will not know what to talk about when he/she does not recognize me anymore” and “I will not be able to keep him/her in the present moment.” These items go beyond the duty of caregiving and understanding the disorder and reveal that people are most concerned about maintaining the connection they had and being there for their relative. From verbal interaction to finding activities to enjoy together, people want their time with their diagnosed relative to be meaningful. The concerns related to maintaining a meaningful connection with one’s relative has important practical and clinical implications. For example, because positive and frequent interactions with family members can improve the subjective well-being of adults with dementia (Grabowski & Mitchell, 2009), reducing interaction concerns may result in a better quality of life for individuals living with dementia. Thus, educators and practitioners could work to develop programs that attempt to reduce fear of incompetence in order to enhance familial relationships and improve the quality of life for individuals dementia. Grabowski, D. C., & Mitchell, S. L. (2009) Family oversight and the quality of nursing home care for residents with advanced dementia. Medical Care, 47, 568-574. Orel, N., & Dupuy, P. (2002). Grandchildren as auxiliary caregivers for grandparents with cognitive and/or physical limitations: Coping strategies and ramifications. Child Study Journal, 32, 193-213. Parker, J., Young, A., & Rogers, K. (2010). ‘My Mum’s Story’ A Deaf daughter discusses her Deaf mother’s experience of dementia. Dementia, 9, 5-20. Savundranayagam, M. Y., Hummert, M. L., & Montgomery, R. J. (2005). Investigating the effects of communication problems on caregiver burden. The Journals of Gerontology Series B: Psychological Sciences and Social Sciences, 60, S48-S55. Wicklund, R. A., & Scheuer, M. (2014). The person category: That which remains when action fails. Psicologia Sociale, 1, 49-70. doi:10.1482/76368.